An Easter scavenger hunt is a great activity to celebrate Jesus' resurrection! After all, the women went to the tomb seeking Jesus and found He was alive! God desires for us to seek after Him - to search and find Him. He promises to be found when we seek! "You will seek me and find me when you seek me with all your heart. 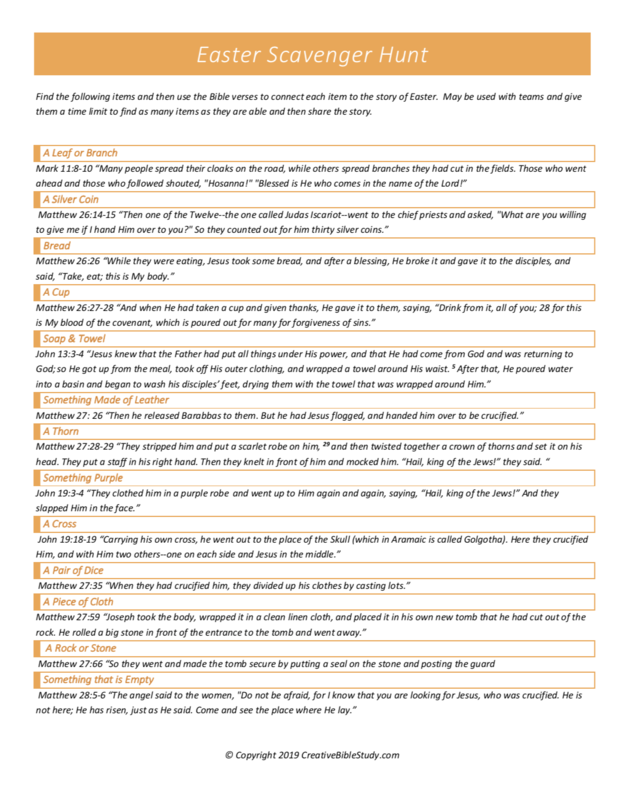 I will be found by you,” declares the Lord,"
One simple way to do an Easter scavenger hunt is to use the objects listed below and use them to walk through the Easter story with the Bible verses for each. Whether you do this with your family, youth group or neighborhood kids, this is a great way to share the Easter story. Take time to allow for discussion with each object and this becomes a fun Easter Bible lesson! If you are in a classroom setting, you may want to use the pictures of objects and hide them around the room for students to find. You could have them look up the Bible verses and match the correct object to each verse as the Easter story is being shared. Another Easter scavenger hunt option is to give them a list of the Scriptures and have them match which item goes with each Bible verse, arrange in order and then share the Easter story. Place the Bible verses and or object pictures in plastic Easter eggs. These then can be used as an Easter scavenger hunt, matching game or Easter memory game remembering which eggs contain matches! 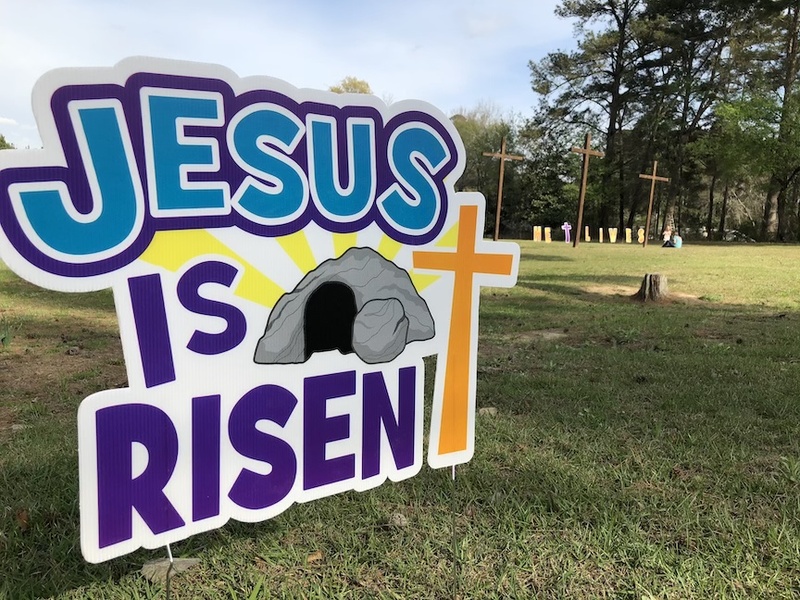 All of these options are fun ways to incorporate the true Easter story straight from Scripture for a hands-on learning experience for any age. 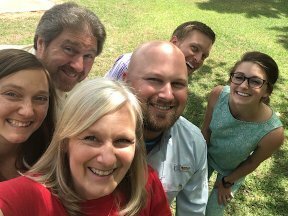 Adapt the options from easy to more difficult; better yet, have the older youth team up and assist the younger kids as an act of service, discipleship & mentoring. 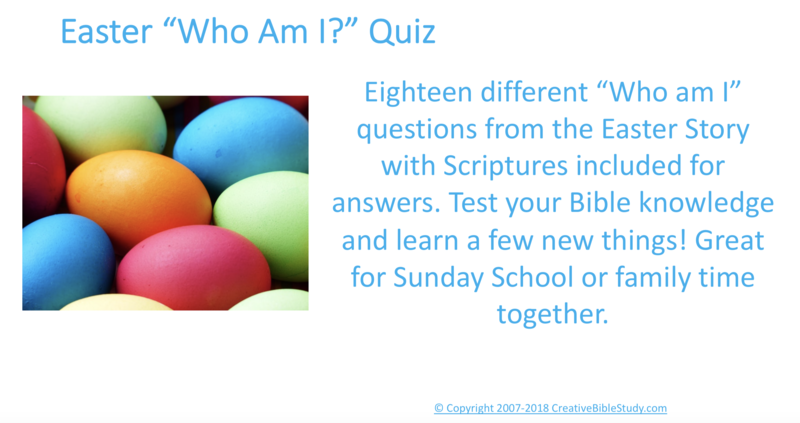 Another fun Easter Bible lesson activity is to use characters from the Easter story and Bible verses to connect "Who's Who of Easter!" The resurrection of Jesus Christ is the most exciting and amazing pivotal point in human history. It is important that we share the Easter story using God's Word and also an element of amazement and excitement!